In the late 1840s in Sanbornton, New Hampshire, the widowed Mary Baker Glover was in chronic ill health and often unable to care for her young son, George. Under the circumstances of Mary’s precarious health, the boy was sent to live with a family acquaintance in North Groton. In 1853 Mary married Daniel Patterson, a dentist, and looked forward to having “Georgie” live with her. Patterson purchased this small house and a sawmill operation in 1855, and the Pattersons moved to North Groton. Stepping across this threshold, you stand in the cottage where the future Mary Baker Eddy came in hopes that her husband would provide a home for her son. But it was not to be. A year after the Pattersons moved to North Groton, the family caring for the boy moved to the far West. Without seeking her permission, they took 11-year-old Georgie with them. He was told his mother had died. She was told that he had wandered away and was lost in the vast open spaces of the frontier. In five mostly grim years here, Mary’s health declined. She was an often bedridden semi-invalid. But these walls witnessed some intuitions about healing stirring in her thought. Seeking to recover from her ills, she experimented with various systems that promised cures. For health, she looked to Jahr’s Manual of Homeopathic Medicine and other works. But for spiritual sustenance, she looked — as she always had — to her Bible, where she found solace, strength, and hope. One experience in particular was groundbreaking, and she would later identify it as her “first discovery of the Science of Mind” (Meehan, Late Suit in Equity, 161). After five years, her husband’s sawmill venture failed. The home and mill were foreclosed. Most of what they owned was lost to creditors. The Pattersons were forced to move on. Yet those intuitions about healing and the hopes inspired by the Bible continued to stir her thinking. 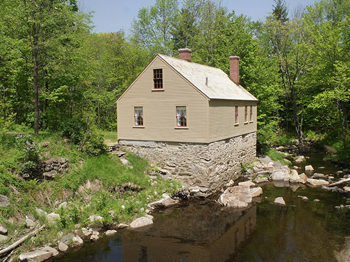 The Pattersons’ former home — a four-room cottage — nestles in a depression that slopes downhill from the main road and bridge high above Hall’s Brook. The front door is just two steps above the ground, but in the rear the land falls off steeply to the banks of the brook. When Mrs. Longyear found this house in 1920, it had long since been moved to an upland field. She had it moved by horse and sledge back to its former site. The house has undergone several major renovations over the years, with an historically correct exterior restoration in 2002. In an overgrown, dried-up former sluice at the bottom of the property, researchers have uncovered the rusty remains of a nineteenth-century sawmill — Daniel Patterson’s failed venture. 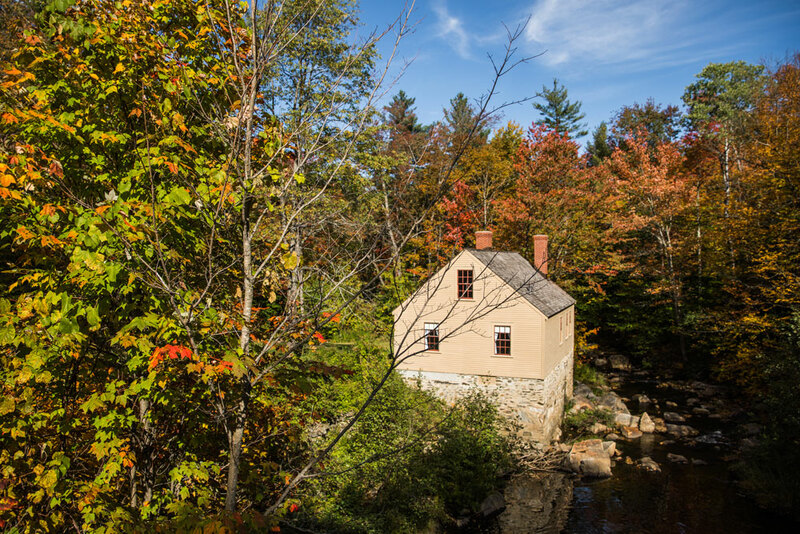 Tour is paired with and starts at the Mary Baker Eddy Historic House in Rumney, New Hampshire. Thursday – Saturday, 10 am – 4 pm; Sunday, 1 – 4 pm. Closed holidays. Call 800.277.8943, ext. 100, or message us. $7.00 suggested donation for the combined tour. Longyear members and children under 12 are free.